Alden Hebron School District 19 issued the following announcement on April 8. 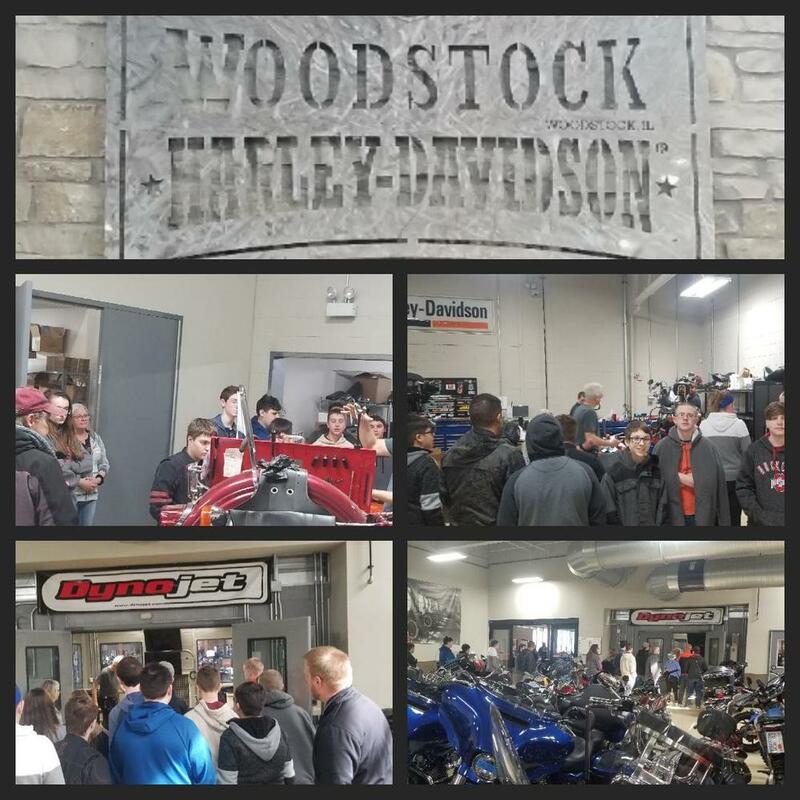 Alden-Hebron's newly formed Hard Hat Club visited Harley-Davidson Motors of Woodstock on April 2nd. Seventeen eighth-grade students were accompanied by their principal Mr. Tim Hayanga, guidance counselor Mrs. Davina VanderPal, substitute teacher Dr. Nick Ciccotosto, and his female German Shepherd Tasha. Staff at Harley very warmly welcomed the club for a hour and half tour of the facilities. Director of Special Events, Trish Ryan led the group throughout the business, showcasing their merchandise, apparel, and sales departments, while discussing the business, sales, mechanical service, and scientific aspects of running the largest dealership of America's most iconic and best loved motorcycles. She explained how she began work at Harley as a clerical worker and progressed to Director of Special Events, hosting charities, fundraisers, and social benefits. She also described working in a business as a second family, one that a person could be proud of, one that sustains and nourishes the person beyond mere wage earning. 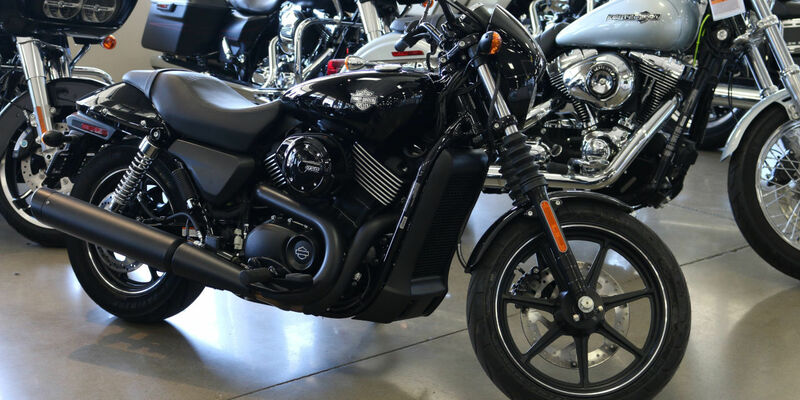 Senior mechanic Brad D'Arville then explained to the group that Harley employs 20 full-time mechanics and is the number one service center for motorcycle repair in the U.S. He led the respectful and attentive group through an explanation of the high tech "dynometer", and various aspects of diagnosis, repair and modification motorcycle require. He showed the class his daily routine around his workbench and repair station. President Doug Jackson of Harley-Davidson kindly spoke with student about a work ethic, how he began washing motorcycles and worked upward to service manager and to and administrative level. With self-deprecating humor, he stressed the importance of getting along with people in general and customers specifically. He emphasized that no matter the age of a person, there were always things worth learning, even if it sometimes meant "fake it, until you make it." The Hard Hat Club then visited the photography shrine, a museum quality area, replete with stunning pictures of America's veterans, centering around Eisenhower talking with WWII troops. Harley-Davidson generously gifted all A-H visitors with commemorative shirts and franchise items, and it was clear that the interested, inquisitive, and well-behaved students delighted every person in the dealership. There were smiles all around. The students did Alden-Hebron proud, the students caused quite a stir visiting this fine business. All were then treated to a lunch at an area business. Being treated as VIP's, they showed that they were worthy in representing Alden-Hebron in every manner. Want to get notified whenever we write about Alden Hebron School District 19 ? Next time we write about Alden Hebron School District 19, we'll email you a link to the story. You may edit your settings or unsubscribe at any time.